This was the 172nd broadcast of Homerun Radio Patto UP, by Yuuki Kana and Eino Airi. 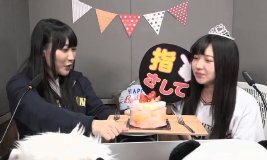 There was a surprise birthday cake for Airi, as her birthday was 1/19. Kana sang "happy birthday" to her, and Airi said she was 26 years old. 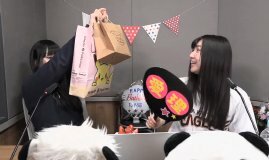 At the end, Kana said she brought some presents for Airi. They said they would open them up during the members only broadcast.